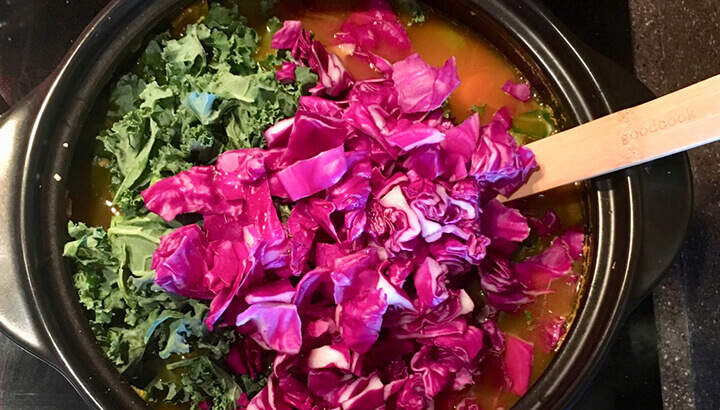 What better way to start the new year than with a big bowl of this beautiful detox soup? It warms me up while building my immune system and trust me, I need all the help I can get this time of year. It is so important to build my immune system up so I can fight off what the cold winter brings my way. 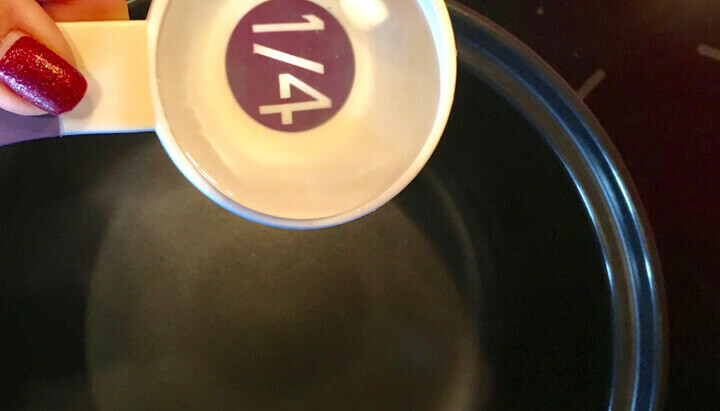 With all the germs I am exposed to on a daily basis, I can eat this soup and be rest assured that it will give me much-needed nourishment. The ingredients are known for their detoxing and cleansing properties. The great flavor of the vegetables are blended with a little cinnamon, turmeric and ginger. 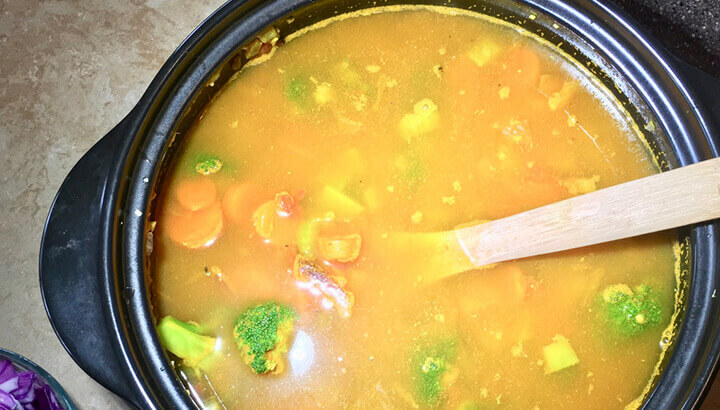 This is a great soup to quickly whip up when the cold weather is howling outside. I love eating this soup while curled up on the sofa wrapped in my favorite blanket. 1. In a large pot, add 1/4 cup water and turn the heat on medium-high. 2. 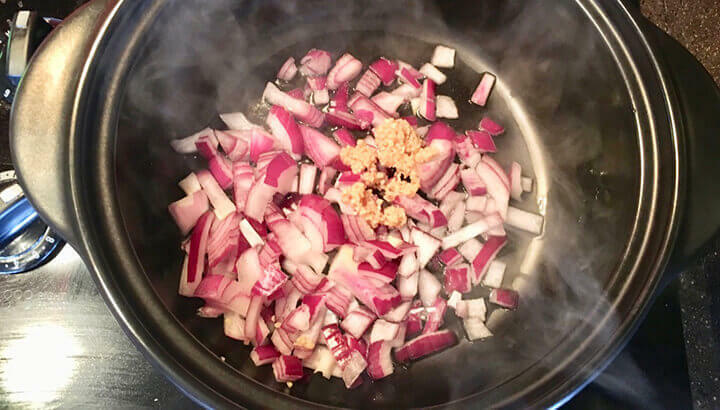 When hot, add the onion and garlic. Saute for a couple of minutes. 3. 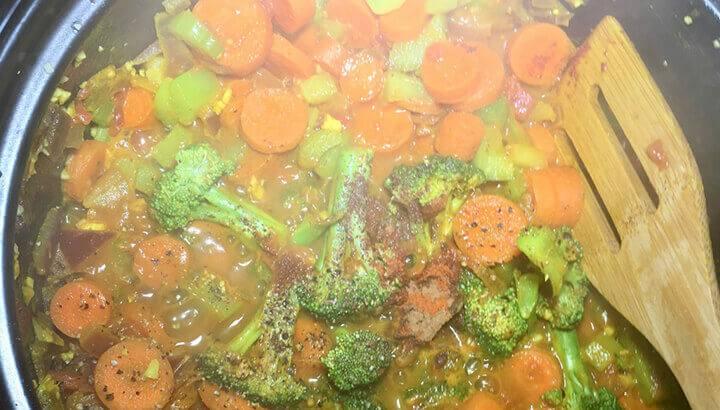 Add celery, carrots, broccoli, tomatoes and ginger. 4. Cook for 3 minutes. Add more water if needed. 5. Stir in turmeric, cinnamon and cayenne. Add salt and pepper to taste. 6. Add the 6 cups of water or broth. 7. Bring to a boil, then reduce heat. 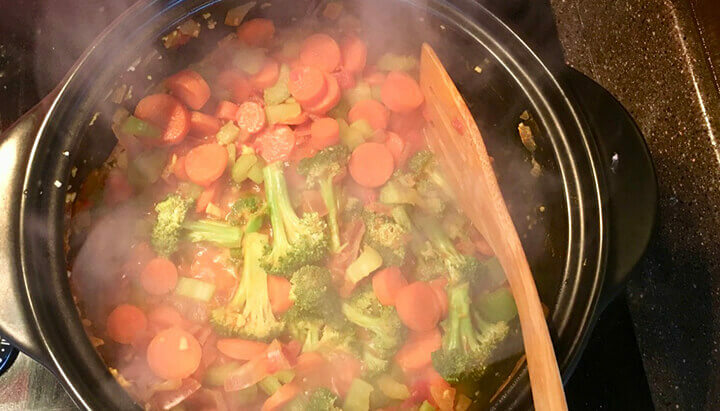 Simmer for 15 minutes or until veggies are soft. 8. Add kale, cabbage and lemon juice. 9. Simmer for a few minutes more. Enjoy! 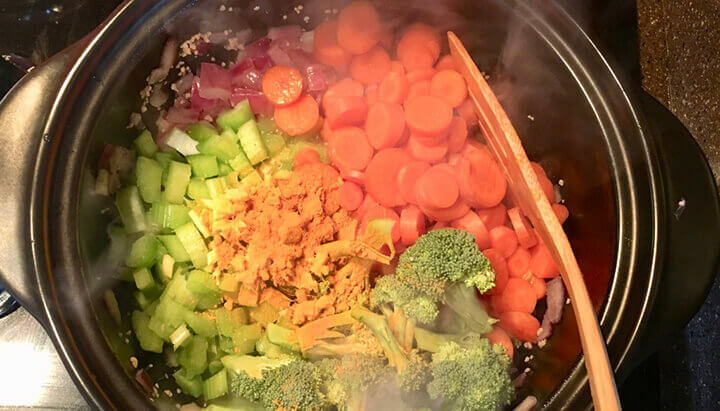 Hey Buddy!, I found this information for you: "Keep Flu At Bay With This Cleansing Detox Soup". 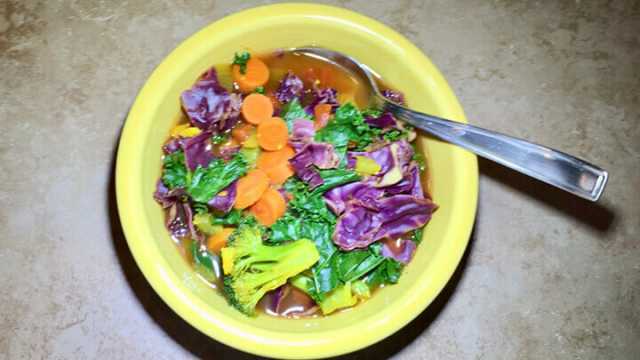 Here is the website link: https://www.thealternativedaily.com/cleansing-detox-soup/. Thank you.